This post is for watching “Fear the Walking Dead.” Check out this link for information on How to Watch “The Walking Dead” Online. 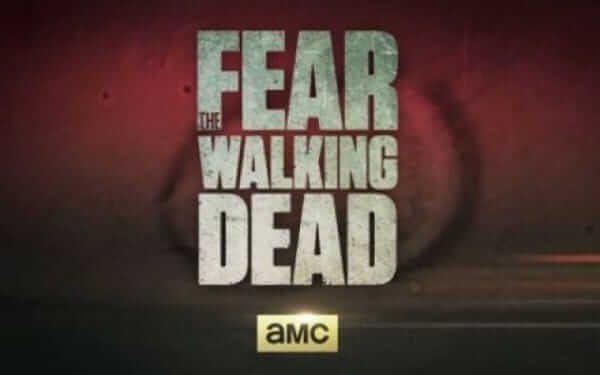 Fear the Walking Dead is a prequel series to the hit AMC series “The Walking Dead.” Both shows were created by the original Walking Dead comic book creator Robert Kirkman. In fact, Kirkman wrote the first and last episode of the first season of “Fear the Walking Dead” along with writer Dave Erickson. Sling TV is a fantastic option for those that want the best parts of cable without paying the hefty monthly sum. For $25 a month, Sling TV provides subscribers access to a slew of cable networks including AMC. This will provide you access to not only Fear the Walking Dead, but every show on AMC, TBS, TNT, CNN, Lifetime, and a host of other channels. If interested, Sling TV is currently giving away a free Roku Streaming Stick when signing on for 3 months. For more details on everything Sling TV has to offer, check out my Sling TV review. While the benefits of Amazon Prime are hard to pass up, you don’t have to be a Prime subscriber to stream content. Amazon Instant Video allows you to purchase TV shows and Movies whether you subscribe to Amazon prime or not. This includes currently airing TV shows. Right now you can purchase a Season Pass to the entire second season of Fear the Walking Dead from Amazon for just $27 for standard definition. For Apple TV and iOS users, the show is available from iTunes for the same price. That’s less than $2 per episode, and you can view new episodes the day after they air on AMC. The best part is you own the series so you can watch it as much as you want. This is a big plus, for those of you that like buying your favorite shows on Blu-Ray or DVD anyway. While some may recoil at the idea of paying per show, it’s actually cheaper than cable TV for most casual TV viewers. Once I cut the cord, I found out quickly that I didn’t have access to 5 shows on Cable TV. I was able to buy every episode of those 5 shows for about $120. That’s less than 1 month of what I was paying the cable company, and works out to only $10 a month. Paying Amazon or iTunes to stream per show is a very viable solution for cord cutters. Sony PlayStation Vue is in nationwide release and like Sling they provide access to AMC via a channel bundle over the internet for $30 per month. It’s yet another way you can leave cable behind. Whether you choose to go with Sling TV, Vue Amazon, or iTunes one thing is clear . . .it’s a heck of a lot cheaper to watch Fear the Walking Dead when you don’t have cable.